My farm link list. The list of farms I have visited and/or reviewed in posts. Updated as I profile farms in the “100 mile” radius of our home. Mostly Howard County farms, but venturing out to others when they are unique. Breezy Willow now moved from West Friendship to a new farm on Frederick Road in Woodbine offers seasonal CSAs, spring/summer/fall and a year round Saturday farm stand from 10-2 on the farm on Frederick Rd. Certified organic. They are also prominent in the Ellicott City Market on Saturdays. Now at Mt Ida until the Wine Bin location is up and running after the flood. They also have a country store at Frederick Road and St John’s Lane, open year round Thursday through Sunday. Clark’s Farm offers meat and eggs at their store (the entrance to their petting farm and Enchanted Forest) year round, and runs a produce stand from 1 July until midSeptember. They are open Saturdays 12-3 in the winter, for beef, pork, lamb and eggs. When the petting farm and the Enchanted Forest are open, daily except Monday, you can also purchase meat and eggs. They also have a CSA. England Acres, just west of Mt. Airy, offers a farm market and baked goods 10-6 on Fridays and Saturdays, in the summer. They offer meats, eggs, dairy, baked goods, on site grown veggies, fruit from local orchards. It is like walking into a mini grocery store. Flour, honey, canned goods. They update their site to say when they are open in the off season, except for pre-arranged meat and egg pick up. TLV’s farm stand is open most of the year from 10-2 on Saturdays. 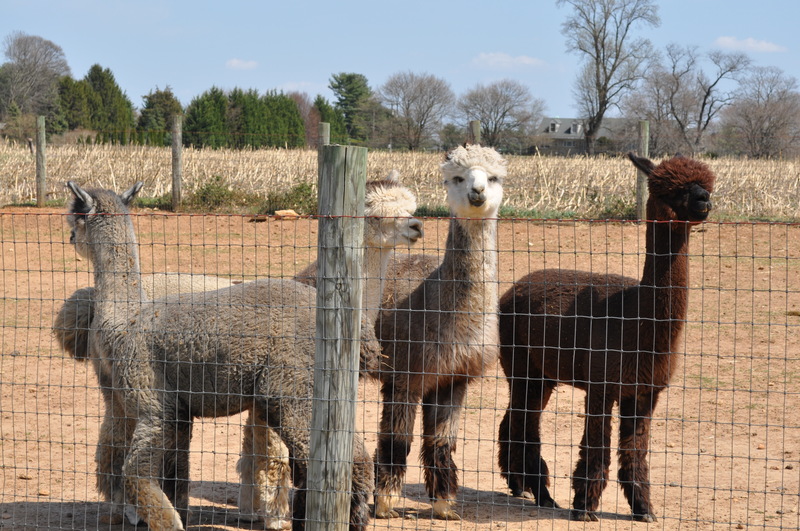 They also participate in numerous Howard County Farmer’s Markets. They have meat, eggs, produce, and of course, in the fall, pick your own pumpkins, and the Christmas tree farm. They implemented a CSA in summer of 2014. Added meat and eggs in 2015. Unfortunately John has stopped actively farming the site, and has closed down his CSA, and left the markets. He will be missed by those of us who loved his produce. Greenhouses open in the spring for plants and seedlings. Pumpkin sales, maze and hay rides in the fall. Country store open in the fall. Year round educational activities. A large farm with many activities and lots of wholesale supplying of heirloom seeds to local nurseries, garden clubs and community gardens. We also buy supplies like row cover from them in the spring. Pick Your Own in Lisbon MD. Many, many varieties of fruits, quite a few veggies, flowers and herbs. Seedlings in the spring when they open at the start of strawberry season. Very organized, well run, pick your own operation. Farm store also. You don’t have to pick your own, but the cost is higher. Closed Mondays and some holidays. They close at the end of apple and pumpkin season. This year they predict to open in very late May. Over in Germantown, another very large pick your own operation. They have some items like English peas and sugar snap peas, that Larriland doesn’t. Their farm store is also stocked with lots of gift ideas, and a huge assortment of baked items. The Farm Stand on Gorman Road is no longer open. Gorman has a large successful CSA following. Crops are all grown following organic practices. Christmas tree sales too. Two sites. One at the restaurant with a large year round farm stand out front. The other, at the farm, just west of Westminster, has a pick your own operation, and a small farm store. They also stock lots of locally sourced items like buckwheat, maple syrup, Amish popcorn, and many cooking and canning items. Large selection of Lodge cookware. Huge inventory of plants. Christmas Tree Farm and in the spring, a source of fruit, veggie and herb seedlings. Want to grow strawberries in a pot, or put in an herb garden, they are my source. In the spring, they are at the Glenwood Farmer’s Market. The greenhouses are off Rte. 97 in the Glenwood/Woodbine area. The tree farm is on Frederick Road in Woodbine. Year round CSA supplied to Howard County residents. 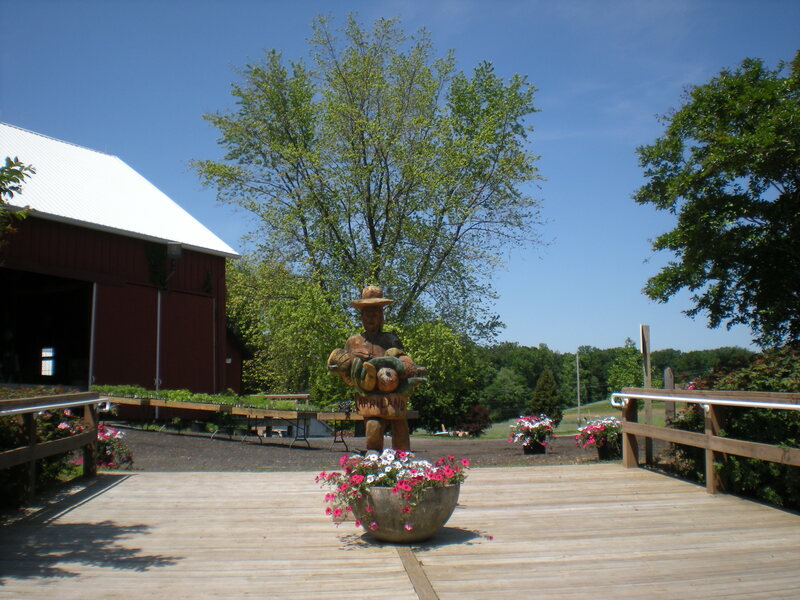 Their farm and farm stand are in Baltimore County, in Essex. They participate in numerous farmers markets, and in winter, have a delivery to home CSA. Home Delivery to Howard County. Dairy, eggs, meats and specialty items delivered weekly. 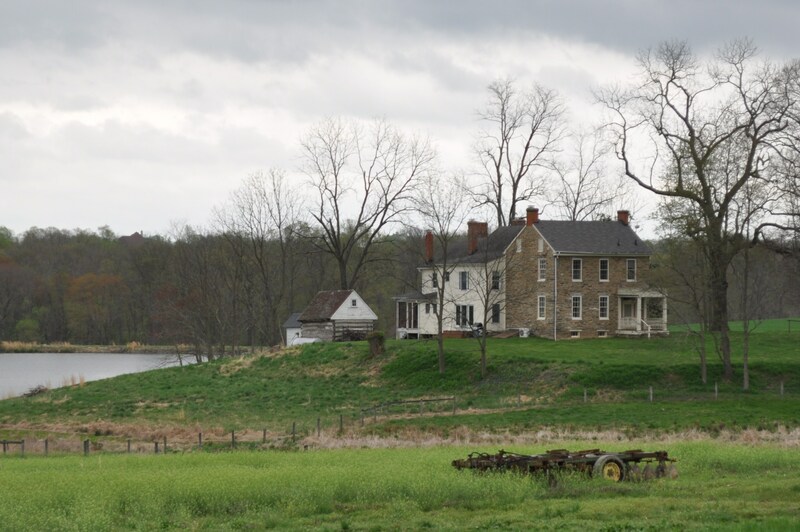 The farm is west of Frederick. Damascus. I found East Rivendell as a supplier of microgreens and salad mix, from their high tunnels, year round, at England Acres farm store. They also have a stand at the farm just outside Damascus. Meats, Eggs, Produce. Available in many farm stands around here, they are a source for milk, ice cream, butter, yogurt, cheeses. Also available at most natural stores in the area. The farms and the facility are in the Chambersburg Pa area. I see their products at Atwater’s Bakery also, and at Breezy Willow, and Friends and Farms. Turkeys year round. Fresh for Thanksgiving and Christmas. Frozen the rest of the year. Call the farm if you want turkey. Besides the farm, they have pick up points at places like Boarman’s during the busy holiday season. The farm is on Rte. 216 just next to the new Maple Lawn community. Hanover MD. Just past Timbuktu Restaurant, turn right about a mile. Just in Anne Arundel County. Really nicely done meat products. Their specialty sausages alone are worth the trip. Try the chorizo, or the garlic sausage. Their bacon ends are great to buy to use for soups, as are the ham steaks, bones, and for the really traditional cook. The lard. The Wheeler Farm Sykesville MD. I just found them at the Glenwood Market. They sell mostly produce, and they have a CSA. Westminster MD Discovered this farm store just before Christmas because I saw their Facebook ad which featured Rheb’s candies. Took a trip there to buy some for presents for the family. Got some lovely eggs and meat there too. I will be back to get lamb in the spring. I now am a member of their meat and egg CSA, picking up at the Columbia Wegmans the first Saturday of each month. Earth First Farm I discovered Earth First, an organic farm in Highland, at the Clarksville Commons farmer’s market. I also had the pleasure of sampling their winter veggies at Clarksville Caterers’ event with our local Slow Food Chapter. Frank’s Produce and Greenhouses behind Costco on Old Waterloo Road. Greenhouses open April through December. Farm market opens in May. Jenny’s Market off Rte 32 at Burnt Woods Road. Closes in the winter. Open May-October. Jenny’s is the only place locally that I have found fresh lima beans. Incredible when they are just picked. Ask at Jenny’s and Frank’s to see what is locally sourced. Some things are bought from the wholesalers. They are fresh and delicious, but aren’t local. I will add it to the local resource page. Thanks, Sharon. Have you visited Pong’s Orchard in Fulton Yet? They have a wide variety of eccentric and “different” produce and plants you probably thought you couldn’t grow in Maryland. And after speaking to Mr. Pong, I learned that (to his knowledge) he was the first commercial Asian Pear Orchard in Hoco. Look them up! “Frank’s Produce and Greenhouses” now has signs that indicate the locally sourced products. When I was there about two weeks ago, many types of local produce were available. I bought a local (PA) crookneck squash that weighed about 10 pounds! The check-out clerk (Frank’s son, I think) told me that places like Costco use this type of huge squash in making baked goods. It’s similar to butternut squash but larger and with a twisted neck. The one I bought weighed about 10 pounds, and I could carry it over my arm like a cane. I also bought extraordinarily flavorful local (PA) Honey Crisp apples. I buy products from the Jehovah-Jireh Farm in Dickerson, MD, at MOM’s in Jessup and have gone to the farm once. I have hopes of shopping at that farm again but haven’t had a chance to make the trip recently. Glad to see Franks adding local signs. I know that we use squash in place of pumpkin to make pies and breads.